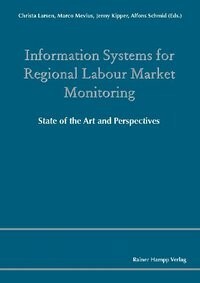 Regional labour market monitoring based on web-based labour market information systems is becoming increasingly more common. This anthology shows the variety of such systems as implemented in various European countries. Two general types can be distinguished. The first are regionally-based information tools and secondly, national systems with regional sub-divisions. In addition, these show what information and communication technologies make possible, but they also give the first indications of where these technologies have their limits. This volume should trigger a wider discussion in this field.